When AfriSam partnered with the University of Johannesburg (UJ) a few years ago through its technical services arm, the Centre for Product Excellence, the company made its specialists as well as its laboratory facilities available to UJ for its students – both for practical learning as well as to conduct research. Since then, this collaboration between business and the bright young minds at UJ has thrived. In fact, earlier this year, two research papers were presented at the International Conference on Advances in Sustainable Construction Materials and Civil Engineering Systems, which was held at the University of Sharjah in the United Arab Emirates. The research for these papers was carried out at the Centre for Product Excellence by UJ civil engineering science student Broadley Miller, and was written up by Miller in conjunction with the department’s technical lecturer, Johannes Bester, and senior lecturer, Deon Kruger. The one paper addressed the use of a concrete additive to eliminate returned concrete waste volumes. According to Bester, who presented the paper on behalf of the authors, this paper was particularly well received by the conference delegates. The research investigates the effects of a recently developed two-component powdered product in separating returned fresh readymix concrete into fine and coarse aggregates. The product is made from polymers and inorganic compounds, and is mechanically mixed into returned concrete to achieve this result. In their second paper, the authors explored the use of recycled aggregates as a replacement for virgin materials in the manufacture of concrete. They found that fine recycled aggregates have a much greater negative impact than the coarse recycled aggregates. By using slag as a partial replacement of Portland cement, the CO₂ footprint of AfriSam’s cement manufacturing activities is significantly reduced. 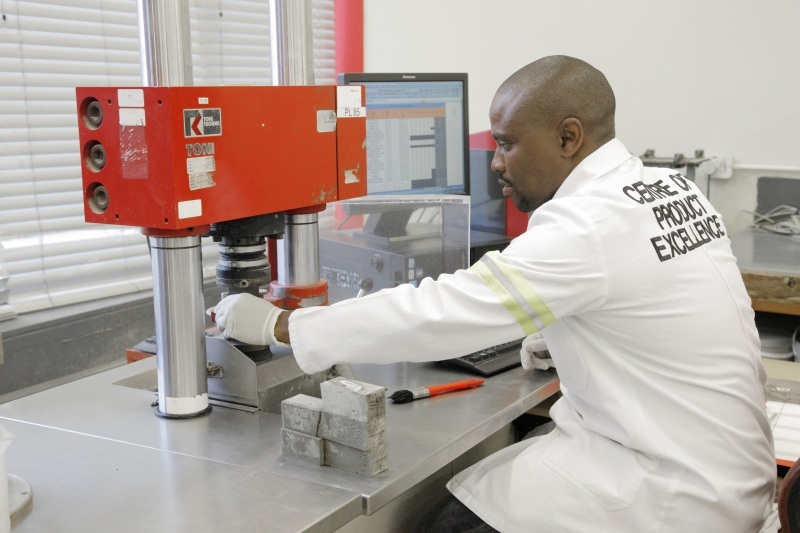 Another big focus for AfriSam’s Centre for Product Excellence is its ongoing product development geared at using downstream materials such as slag, which is well known for its ability to enhance the performance of ready-mix concrete. Slag is a by-product from the blast furnace iron manufacturing process, and when used in concrete it can substitute up to 80% of the Portland cement in the mix design. 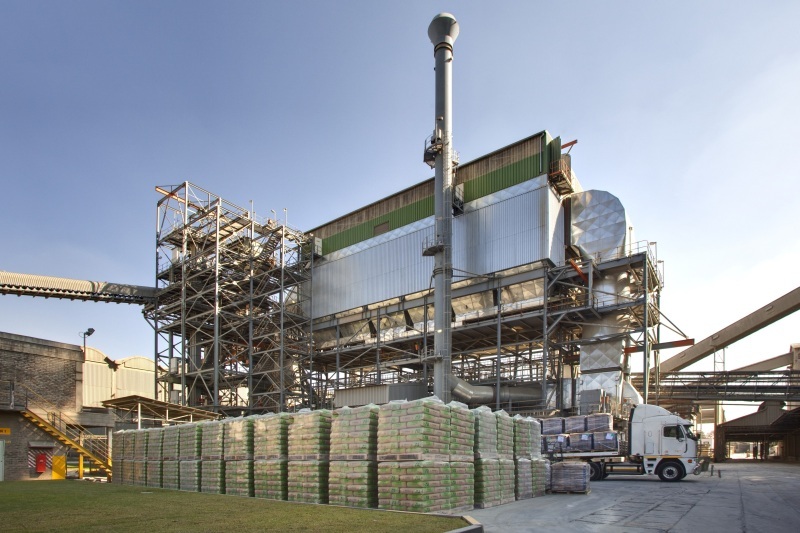 This significantly lowers the CO₂ footprint of cement-making activities. The incorporation of slag is further beneficial because it improves the durability characteristics of concrete, reducing permeability, improving resistance to chemical attack and inhibiting rebar corrosion. Mike McDonald, manager of AfriSam’s Centre for Product Excellence, points out that about a ton of CO₂ is emitted into the environment for every ton of pure cement that is produced. “Intervention is therefore essential, and one of our milestones with hybrid products includes the commercialisation of AfriSam’s Eco Cement, with a 42,5 strength class containing less than a 50% clinker component,” he states. AfriSam’s Eco Cement offers high workability while allowing a smooth, defect-free finish for concrete, masonry and plasterwork. This high-performance cement also reduces the heat of hydration in mass concrete. McDonald says he expects the demand for better performing cements with a low clinker content to grow, which is why AfriSam is investing time and effort into presenting technical courses aimed at helping its customers better understand the product. Attention is also given to the correct use and application of concrete mixes incorporating these hybrid cements.